Heritage comes to us from Les Collines du Bourdic, a 100-year-old co-operative in the Languedoc, along France's eastern seaboard on the Mediterranean. The group owns nearly 4,000 acres of vines, making them one of the largest wine producers in the region. The Languedoc is blessed with a perfect maritime climate and soils from which you can produce medium quality wines in great quantities. The problem was that, in the old days, nobody made any money. Les Collines stood up and said, "let's make better wines," and, in so doing, get prices better for them. The goal wasn't making a better $10 wine and charging $15. It was about making a better 50? wine and charging $1.00! Those were the economics of the times, so you can see why they couldn't make a profit. Les Collines led the change in the way Languedoc winemakers approached winemaking. Today, some of the best values in the world of wine come from the Languedoc. Except now the winemakers are doing much better financially. Chardonnay is a relative newcomer to this area. Because of its proximity to the Rhone, growers planted the same grapes and got great results. But the Languedoc is 10 times the size of the Rhone and not all the areas are similar. Operations like Les Collines du Bourdic isolated their holdings to determine what would grow best where. 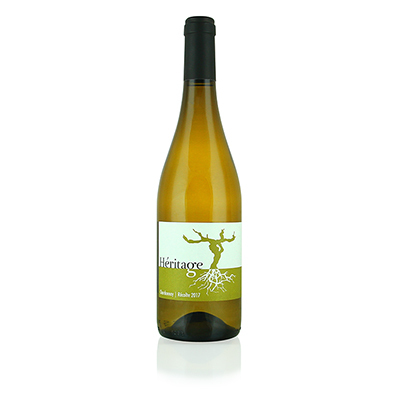 They chose well for this Chardonnay, as it is as classy an entry as you can get at any price.